John has over 50 years experience as a TAS teacher in the Department of Education & Catholic systems, 30 years teaching Engineering Science/Studies, 10 years part time TAFE teaching, one of 3 writers of the original Engineering Studies Syllabus in 2000, TAS Coordinator for 17 years at the St Peters College campus - Tuggerah NSW (formerly Corpus Christi Senior College), senior HSC marker for many years, examiner for the Engineering Studies NSW Independent Trial HSC and Preliminary Year final examinations. 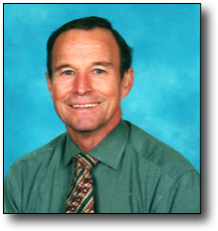 John is presently the teacher for Engineering Studies Online with the Diocese of Lismore Online Education Centre and is the author and desk-top publisher of user-friendly and very successful workbooks and DVDs for NSW, VIC, WA, TAS & QLD high school students since 1985. What are the differences between our workbooks and text books? Text books usually provide too much complex information (which is often out-of-date), are expensive to purchase and are difficult for students to study from for examinations. - up-to-date information because our books are regularly up-dated. Experienced teachers are aware that students forget about 40% of class room instruction after 1 hour, 60% after 1 day and 75% after 10 days. Understanding - this is the role of the teacher to present lessons so that students understand the knowledge and concepts that students are required to learn. facilitating teachers to use all of the instruments of good teaching (ie using our resources, discussion, teacher centred instruction, audio visual, demonstrations, hands-on experiences, visits, guest speakers etc) to teach concepts in the classroom without the need for students wasting time taking notes or receiving handouts that are usually subsequently disorganise or lost. facilitating students to be able to leave each lesson with annotated and/or highlighted lesson summaries in our workbooks which are well ordered, user friendly and easy to study from. alleviating stress on teachers in preparing lessons for each day as well as catch-up lessons for absences (of both student and teacher) - the content is all prepared in the workbooks and DVDs. extra time for teachers to concentrate on teaching technique rather than worry about preparing content and student notes for home-study. and many more benefits - ask the majority of TAS teachers in NSW who use them!